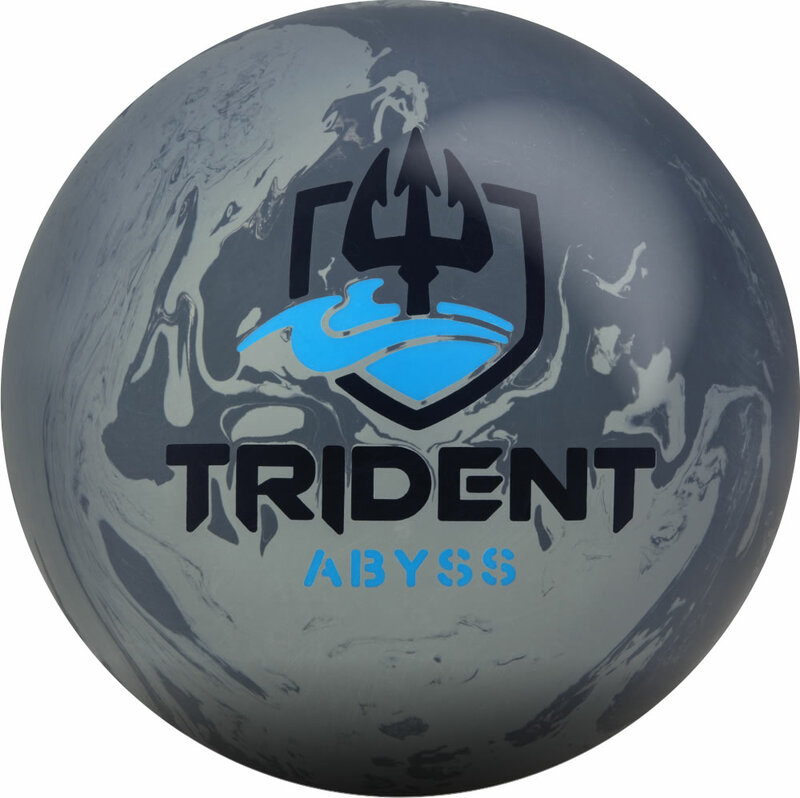 The Trident Abyss is the newest high performance ball for heavy oil from Motiv. This is THE ball for heavy volumes of oil in the Motiv lineup. The Trident Abyss starts with the same low RG and high differential Turbulent asymmetrical weight block that was used previously in the last two Trident releases. The difference is in the new Coercion HV3 Reactive cover. This porous shell comes out of the box at a very abrasive 2000 grit sanded finish. This cover and box finish give the Abyss the ability to cut through oil like a hot knife through cold butter. While the large amount of hook isn’t all that surprising considering how rough and aggressive the cover is, what is surprising is the large amount of downlane motion that this ball provides. Featuring the Turbulent weight block and new Coercion HV3 Reactive cover technology, the solid Trident Abyss is one of the most impressive balls ever engineered by MOTIV. The motion it creates on heavy oil is nearly impossible to find, yet the Trident Abyss delivers. It clears the front of the lane, unleashes massive hooking power in the middle, and still retains energy to blow through the rack with devastating power. The Trident Abyss is a very special ball. We cannot emphasize enough how strong and continuous the Trident Abyss is on heavy oil conditions. It is very unusual for a heavy oil ball to clear the front of the lane with ease and retain massive energy for a powerful backend punch. This is a very special ball! MOTIV PBA Tour Pro, Ryan Ciminelli, stated, “The Trident Abyss is that super strong mythical ball that is aggressive in the middle of the lane, continues incredibly well, yet somehow clears the front of the lane with ease”.